Idyllic updated country home on 2.15 acre lot close in! Pristine in Scholls close to the South Store. Updates throughout including granite counters & stainless in kitchen & updated baths. Full bath on each level! 2 car attached garage + shop + 30x50 RV parking-room for all the cars & toys! Low cost of living w $3746 property taxes & $30/mo for community water. 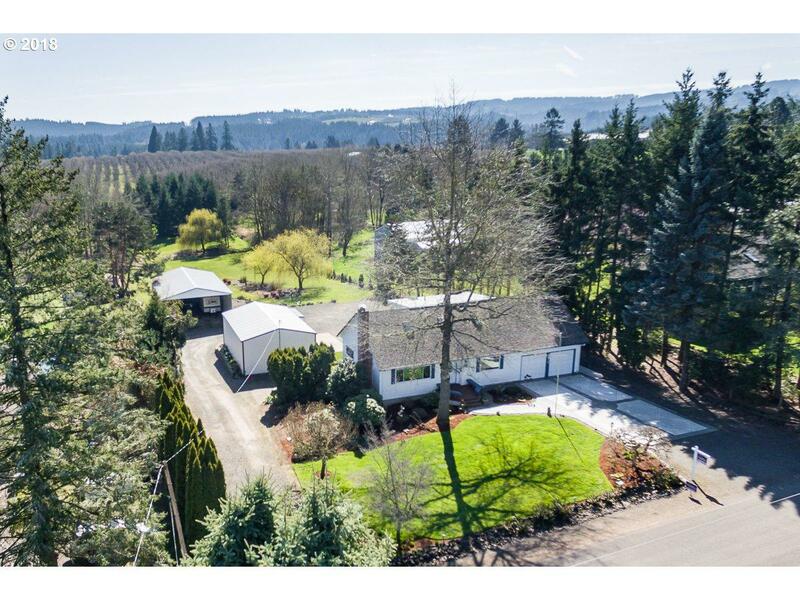 Perfect location-15 minutes from Progress Ridge & easy Intel/Nike commutes!